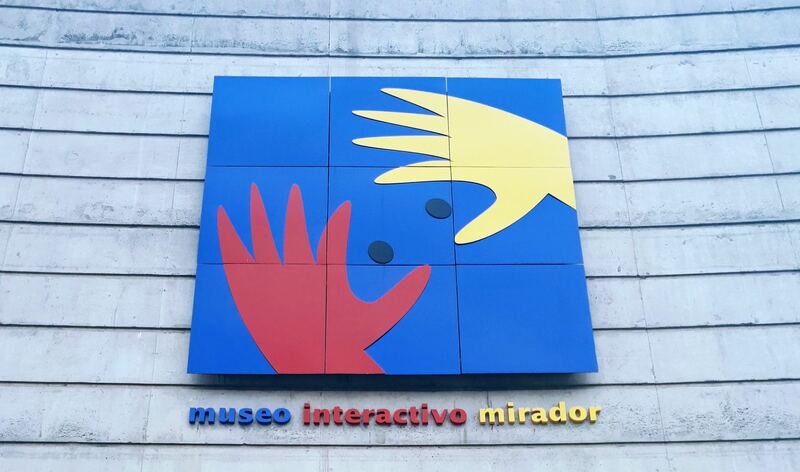 A few weeks ago we headed with the kids to the MIM – the Museo Interactivo Mirador. If you struggle for ideas to keep your children entertained, add this place to your list. Not to be confused with the more centrally located Museo Interactivo Audiovisual, the MIM is about half an hour’s drive from the centre of Santiago. For any families with small children, it’s worth the journey. My kids aren’t fans of ‘Keep Behind the Line’ or ‘Do Not Touch’ style museums and they loved this science museum. It has all sorts of buttons to press, wheels to turn and levers to pull. 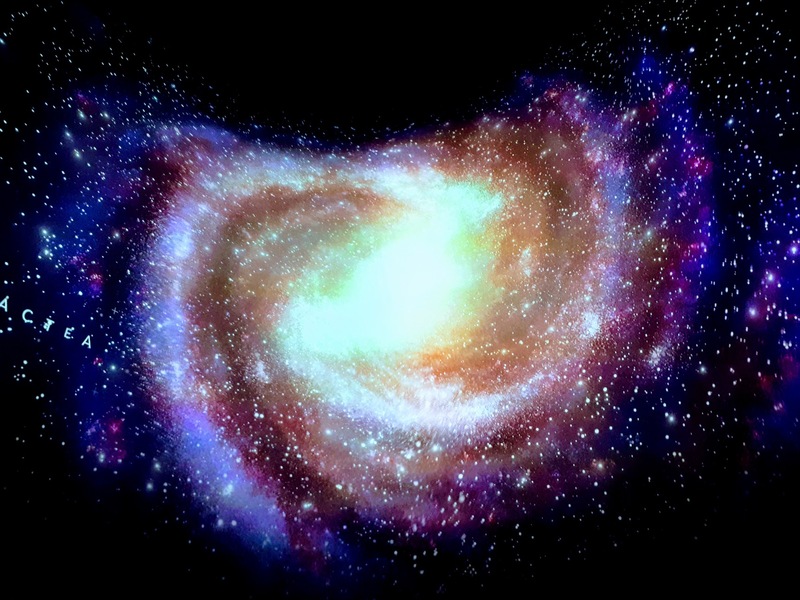 It’s loosely categorised into various zones – electromagnetic, light, mechanics and so forth. There’s also a small section for preschoolers, with building blocks, make your own paper airplanes and a walk on piano game. If, unlike us, you’re not rushing around like sheepdogs herding your kids together, then you might actually learn a thing or two. Actually, the museum’s mission is all about fostering curious minds, offering the chance to explore different sensations autonomously. In this respect I guess my kids learnt a lot. In any case, it’s fun. 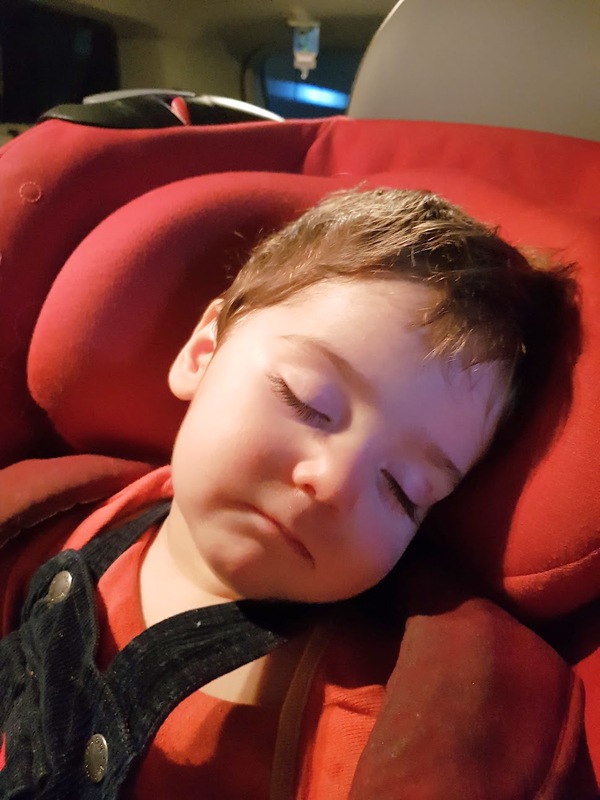 And let’s be honest – anything to tire our little ones out, right? If it all gets too much there are plenty of installations just to sit around and gaze at. 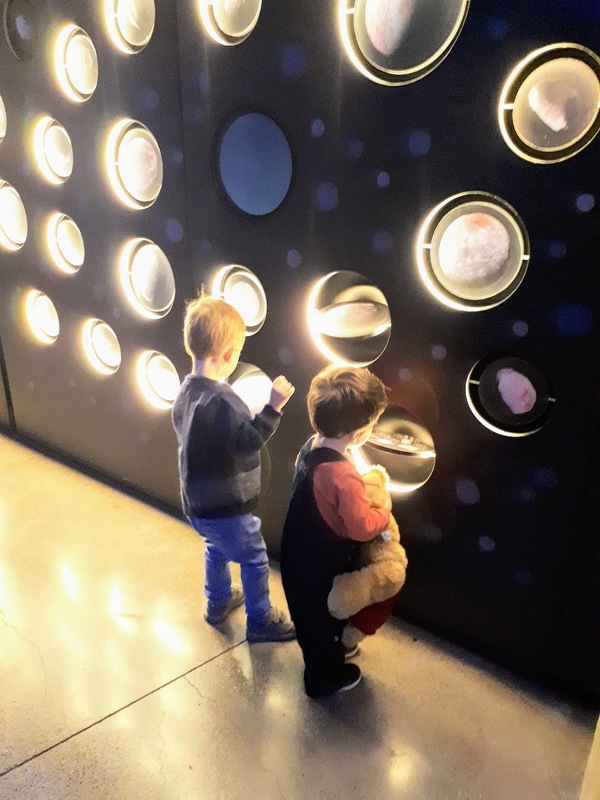 A ticket to the MIM will also give you free access to the smaller planetarium a few minutes walk away on the other side of the park. 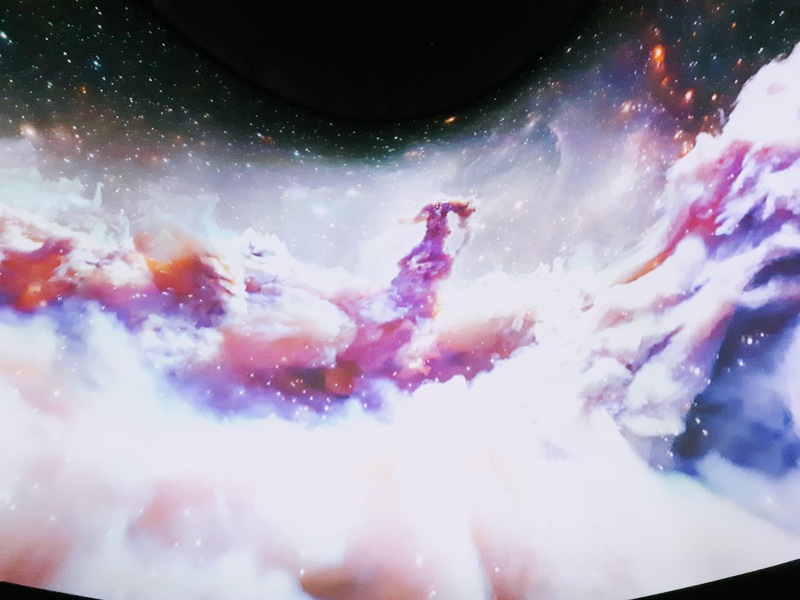 Here it’s all dreamy space videos, gravity themed activities and yes, more buttons to push. 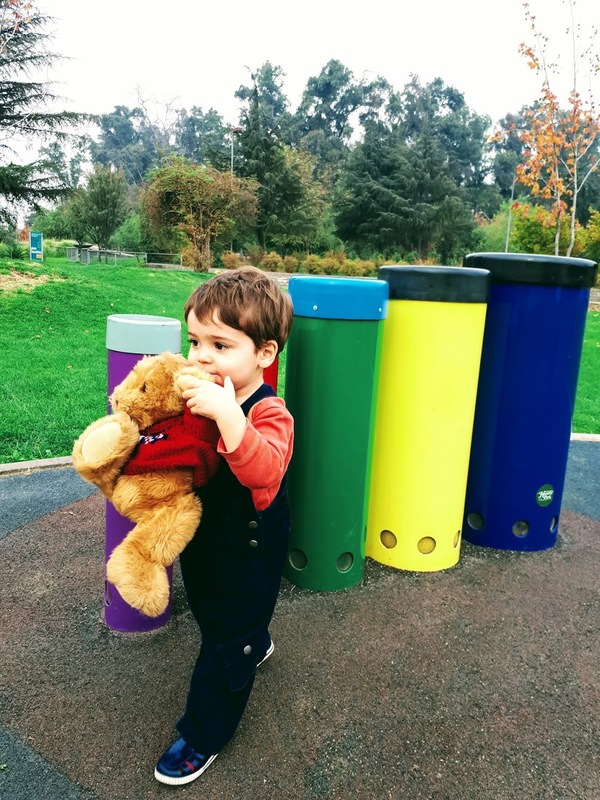 The park itself is a nice place to hang out, play the xylophone, the drums or enjoy a picnic. In fact I’d highly recommend bringing your own picnic because the food at the MIM is well… pretty awful. 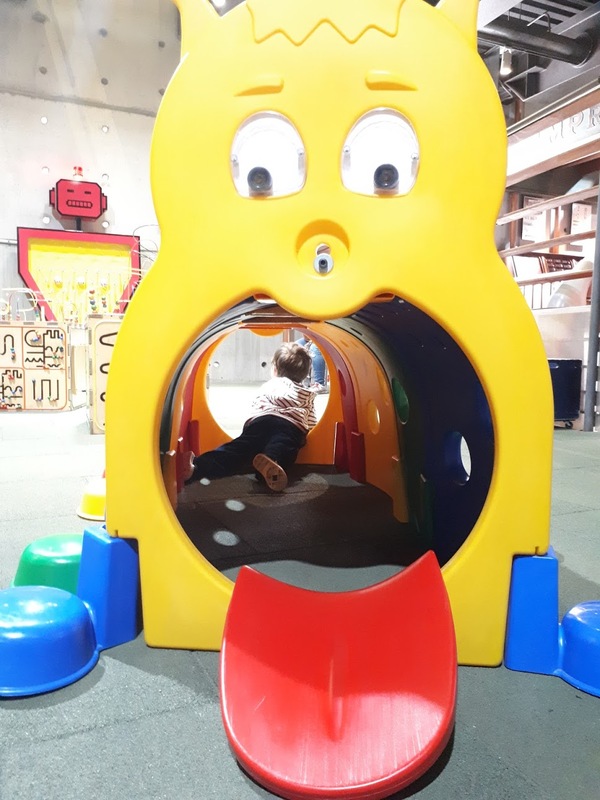 There’s a small cafe on the first floor of the main MIM, but it can get a little overrun on busy days and there were no options for our dairy intolerant child. The larger cafe within the park itself is mostly pretty yucky fast food and snacks. Arriving around midday, I got chatting to a Dad leaving with his kids. As he was off rather early, I asked him if the MIM was any good. ‘Oh, yes!’ he assured me, ‘It’s really good, but it’s nap time now. We’ve got an annual pass and come here all the time just to get the little b*ggers to sleep’. Wise words, wise words indeed. Children’s strollers are available to hire for free at the entrance. A cloakroom is provided free of charge too. Adults are charged $3,900 per person, children aged over two years are charged $2,700 CLP, with fees discounted by half on Wednesdays. Workshops, the 3D cinema and the earthquake room must be booked in advance at the information stand by the entrance. Entrance to the park is free. As mentioned, there’s a small cafe on the first floor, as well as a larger fast food cafe within the park, but I’d recommend bringing a picnic. There’s plenty of parking space for cars and bikes. Annual membership cards are available, providing free entrance for the holder and a 20% discount for up to six guests. Under 12s and over 60s pay $10,000 CLP, while other adults are charged at $15,000 CLP. You will need your RUT (Chilean ID number) to register. Open Tuesday to Sunday from 9.30am to 6.30pm. Ticket office from 9.30am to 5.30pm. Previous Post The most exclusive wine tour in the world? Hey fellow Expaters! Enter your email address to subscribe to my latest posts. It's free and I won't share your data.